located in the beautiful and historic North Head Sanctuary. We had the most incredible experience with Milestone Events for our wedding, so easy going and so professional at the same time with on going communication to calm the nerves! From our first meeting to our last everything was perfect and we had no concerns, I wouldn't have been so calm on the day if it wasn't for Tess & Miles! The food on the night was amazing (from what I can remember as the alcohol selection was to die for), and the appearance and organisation of the ceremony and reception was spectacular. All of our guests were so full and satisfied and commented on how great the venue was. I wouldn't have organised it any other way, it was perfect. Thank you all for an amazing day and thank you for going above and beyond to make our day so special. A very massive thank you to the whole team at Milestone Events for making my big day the best day of my life. Everything ran so smoothly. Tessa and Miles were extremely easy to work with and happily accommodated everything we needed. We couldn't have done it without you guys! Best venue in Sydney. Special mention to the lovely chef for the best food our guests and ourselves have ever had anywhere. Fantastic from start to finish! Could not recommend these guys enough. Our wedding reception was incredible, it not only looked beautiful, the food and service was phenomenal too. Thank you Miles and Tessa for making our wedding planning stress free. You are incredibly personable, easy going and flexible. You are also incredibly attentive and accommodating. Thank you for being so wonderful to work with! What a breath of fresh air in the wedding industry. Overall, you went above and beyond to make our day so special, we cannot thank you enough. Thank you for making our wedding reception so memorable!! As soon as we visited the venue, we had the best feeling about it! It was exactly what we had in mind for our special day, tucked away in North Head Sanctuary. Thank you so much to Miles, Marion Jane, Tess and the team at Milestone Events for making our wedding day so perfect! They were great in the lead up to the day too, always so easy-going and happy for us to pop in whenever we wanted, and were very patient with all my questions :) We had soooo many compliments on the venue and food; our guests had a wonderful time with plenty of eating, drinking and dancing in a really relaxed setting. Highly recommend Milestone Events! What can we say? From the first moment we stepped into the venue at Milestone Events, we were charmed by the character of both the building and its people. Miles, Tessa and Marion are the most helpful, friendly, organised and professional trio and it's so clear they love what they do. They made so much of the organisation of our special day stress free and went above and beyond in helping us have our perfect wedding. The set up of the ceremony on the Memorial Lawn was beautiful and Miles ensured everything was ready for our priest from the altar to the gifts table to the headset to counteract the wind! Tessa was a dream to work with and was so patient and helpful with our constant stream of questions! Each of the rooms at the venue were beautifully presented and exactly what we were hoping for. The food was absolutely exquisite from the sandwiches to the canapes, entrees and the mains. We have had so many of our guests comment on how fantastic the venue was and that it was the best food they've had at a wedding...and we couldn't agree more. It was just delicious! We cannot thank you all enough for being so available, flexible and helpful in ensuring we had the best day possible. Absolutely 5 star venue, food and people! Dearest Marion Jane Tess and Miles Ben and I would like to Thank you so much for all your hard work, patience and guidance in the lead up to and on our “Big Day” Marion Jane your culinary skills are still being given accolades by not only us, but many of our guests Our day felt just the right balance of casual, comfort and classy touches to create the type of occasion that our friends, Ben and I felt was us Thank you so much very much!! We appreciate everything and the effort of all the Milestone Events Team. My husband and I had our wedding reception at Milestone events last month. We had the BEST time! Food was amazing, the decorations he lent us were amazing, the staff were lovely. Miles himself is a very fun guy who made my mum and I feel calm and right at home from our first visit. He took care of the logistics side on the night and I had nothing to worry about. I have only great things to say about Milestone Events and recommend it to anyone wanting to find a place for their function/wedding. SO GREAT! We hired this beautiful venue for my mums 60th birthday party and we are still hearing the glowing reviews from all the guests. The food was on another level. It was easily the most incredible and flavoursome food I have ever had. I was even lucky enough to have my own special plate made up of my favourite dish (the salmon). The venue was gorgeous as ever! It has a very nice feel to it and caters to all ages well. The Milestone staff were all very lovely and looked like they were having just as much fun as we were. I can truly say that this was a 5 star event. My husband Sam and I got married at Milestone Events in September. From the day we met the Milestone team we knew we had made the right decision choosing their venue. They make you feel so welcome and the beautiful venue is made complete by friendly service, delicious food and an atmosphere that makes you feel right at home. I would highly recommend Milestone Events to anyone looking for that venue with something extra special. Hi Miles and family, I'm writing to you from Cambodia after a fantastic fortnight in Japan. Thank you so much for providing such a spectacular night for us. We have heard nothing but positives, even our big eater friends couldn't get through all of the delicious share platters! 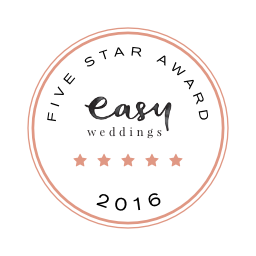 We will definitely be recommending you to anyone who asks, it was a pleasure to have our wedding at your fantastic venue. I hope all is well with you, Marion-Jane, Tessa and the team. Thank you all again for everything you did to help make our wedding day so amazing. Everyone loved the food, flowers, location & the day as a whole - we still get people telling us how much fun they had. We had such a wonderful day, which certainly wouldn't have been possible without your help! Hi Miles, Tess and Jane Sorry it has taken me so long to write this email to you all. Chris and I just wanted to say a HUGE thank you to you and the rest of your staff for the most fabulous day. Everything was perfect!! We really could not have hoped or asked for anything more on our wedding day. I really cannot express to you in words how fantastic everything was! You were so great to deal with, through the entire planning process, you made everything so easy and stress free and the day was magical. Our family and friends are still raving about how awesome the food was... they think it’s the best food they have ever had at a wedding. We feel so lucky to have been able to celebrate our wedding at your amazing venue! I have attached some photos from the photographer. "After finding Milestone Events on the Easy Weddings website and then checking out their own website we decided to contact Miles and set up a venue viewing. It was the best decision we could have possibly made! From the very first meeting with Miles we knew we had come to the right place. The whole experience from start to finish was incredibly smooth and trouble free. Apart from the actual day itself, which was unbelievable, the menu tasting was our favourite part. Truly exceptional food cooked by Jane and tasting the wine Miles had lined up for us was a very enjoyable experience. The venue is perfect, we had our ceremony on the North Head Sanctuary lawn which was amazing and everything was set up perfectly on the day, both at the ceremony and back at Milestone's, where the reception was held. If you are reading this then you are thinking of booking a wedding with these guys. You will not be disappointed, this is Sydney's hidden wedding venue gem!!! To Miles, Jane and Tess, thank you so much for making our day the most special occasion. It was truly better than we could have possibly imagined." Faultless from star to finish, Tessa arranged the whole package including the food with Chef Marion Jane and the arrangements with the band, our Celebrant, flowers, cake and the running sheet for the day with our MC. Words are not enough to thank Milestone Events for catering and decorating our wedding. It is a family owned company with many years of experience that did much more than what we could ever expect. Food was delicious, well prepared and continuous, as well as drinks. We highly recommend them. Milestone decorated both our ceremony and reception. The outdoor area was beautifully ornamented with chairs, table, arbor and hanging lanterns. Weather changed and the outdoor celebration was organised with short notice, but they made our dream come true. Reception was nicely decorated as well with flowers, vases and candle holders. The lovely team at Milestone made the manic process of wedding planning an enjoyable one! Miles, Tessa and Marion Jane are the ultimate professionals who went above and beyond to arrange an unforgettable wedding arranging most of our needs from delicious catering, sweet decorations to setting everything up on the day. We really enjoyed working with Milestone. Thank you! It was a really good experience. I personally liked that it was a little bit more casual, and as a result it felt more personal. Everything went smoothly on the day. The food - the guests are still talking about it! They tailored the food packages to our needs and likes. Brilliant! The family atmosphere was great, and they weren't in your face at all. Perfect in every way! Food is delicious. Miles, Marion and Tessa were so helpful and relaxed and we had so many comments from our guests on how good the food was. Everything was taken care of....we could relax and enjoy the day. The beautiful light filled ballroom at Milestone events, is perfect for any occasion, from the double French doors at one end following the original wooden floors to the other. With large windows all the way down the room offering the perfect amount of breeze. When you step into the venue, you feel this beautiful sense of calmness that cant be described but it makes you want to stay. It will always make you feel a million miles away. Our Milestone Events exclusive outdoor gardens are perfect for any event, or if you are looking for that perfect view of Sydney Harbour in all its glory the Memorial Lawn is ideal, just a 7 minute walk away from the 1930s venue. With 100 car spaces, spectacular photo options and the personal touch from the Milestone Events team it is a truly wonderful place for your special day. The beautiful 1930s venue can comfortably seat up to 180 guests, and can accommodate 300 guests for stand up events while still having room for a dance floor. We also have rooms where we can cater for a more intimate settingand for your outdoor garden wedding reception we can seat up to 120 guests.